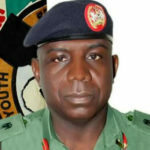 The Director-General of the National Youth Service Corps (NYSC), Brigadier General Suleiman Kazaure, said the Federal Government had approved the enrolment of corps members into the National Health Insurance Scheme (NHIS). 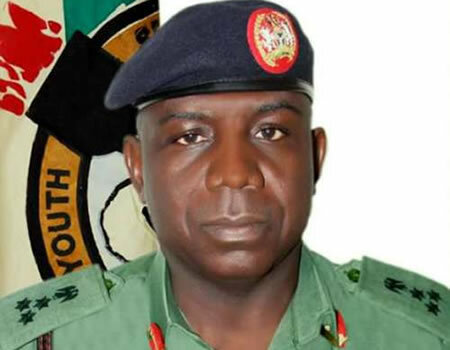 He said as part of partnership deal with Federal Ministry of Health, the orientation camp of the scheme had a consultant from the Federal Medical Centre. The DG commended the corps members that participated in the Osun gubernatorial election for being good ambassadors of the scheme. On the increment of allowance of corps members, he said the scheme was not different from the civil service and would need to wait for the new National Minimum Wage. He said the scheme had cleared the backlog of unpaid staff allowances and also created a robust forum to interface with members of staff and labour unions for industrial harmony. Declaring the event open, Ondo State Governor, Oluwarotimi Akeredolu said that the NYSC had contributed tremendously to the development of the nation’s democracy. Akeredolu, represented by his deputy, Mr Agboola Ajayi, noted that the sustenance of the scheme would continue to impact on the society. He pointed out that the NYSC had contributed over 80 per cent to the nation’s development and democracy. Akeredolu said the annual management conference with the theme “NYSC At 45: “Consolidating Gains and Creating Opportunities,” was an indication that the management was poised towards repositioning the scheme to face its current challenges. “As a way of appreciating the contribution of corps members to the development of the state, my administration has also introduced a package of N100, 000, N80, 000 and N50, 000 for the state honour award winners to corps members,” he said. In her goodwill message, the NYSC National Governing Board, Mrs Fatima Abubakar, stated that the Board attended the conference in compliance with the President Muhammadu Buhari’s charge to enhance service delivery. Earlier, in an introductory address by the NYSC Director, Planning, Research and Statistics, Mrs Victoria Okakwu, said the choice of Akure as a venue for the conference was informed by the hospitality enjoyed from the government and good people of the state. She added that the focus of the conference was to brainstorm and come up with practicable solutions and strategies that will reposition and promote the ideals of the Scheme in both present and future operating environment.